The following five apps vary in capabilities and features, but they all offer good design and enough computing power to tackle sophisticated tasks. They are all universal apps, which is especially helpful for the iPad given that it does not come with a calculator. After trying out several alternatives, here are some of the best for turning your iOS device into a stronger computational machine. PCalc can handle just about any kind of math you can throw at it. 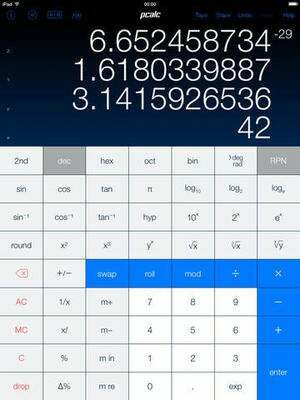 PCalc is hailed by many as the gold standard of iOS calculators, and for good reason. It handles RPN (Reverse Polish Notation), which is a must in engineering, programming, and other complex calculation needs. It has a variety of different layouts to match your specific use needs, whether it is for regular calculations or for taking to the engineering lab. A free version is there to try it out, with $10 the price for the full edition. If you need the higher-level calculation required for engineering or other advanced levels of math it is definitely the one to get. If you want to extend what is available with PCalc to the desktop, a version is available in the Mac App Store, also $10. Read our full review of PCalc. 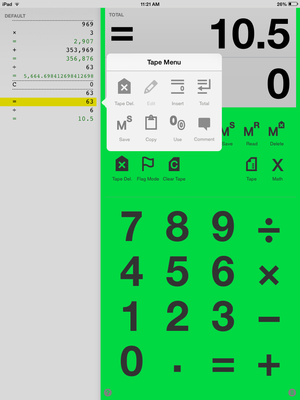 Digits lets you view and edit a tape to keep track of calculations. Digits ($4) is an ideal calculator replacement for day-to-day math. One of its most powerful features is the tape, which keeps a running tally of calculations. This is especially helpful for those doing bookkeeping or any kind of itemization where you want to go back and see the entire strand of numbers. Tap to edit the calculation and insert, change, or delete the number. You can also print or email the tape to others. Digits has a colorful background and a large font that makes it easy to see. It has dedicated buttons for Pi, Roots, and Inverse, but if you want functions for higher-level algebra or graphing, you won't find them here. You can change the background color and font size to add a little bit of customization. It also works in portrait or landscape mode, moving the tape to best match the screen layout. 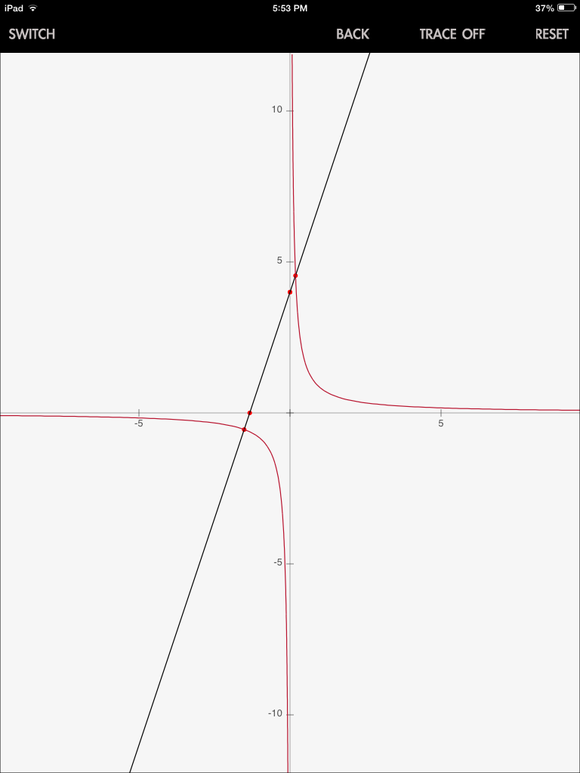 Calculator+ handles graphing and many other types of higher-level math. This is one of the better full-featured calculators, offering several different modes and calculator styles, supporting scientific, handwriting, polynomial, linear, graphing, and currency. 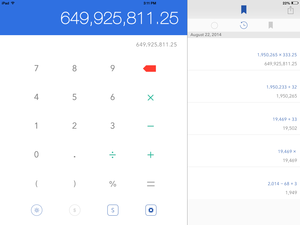 Calculator+ (free, $5 to unlock all modes) keeps its flexibility by putting the main portion of the keyboard—with the numbers and enter commands—in one section while including a scrollable bar for the function-specific keys. This keeps the design consistent yet allows you to quickly find what is needed for an equation. The handwriting calculator takes a little bit of work. Calculator+ makes you go through the exercise of writing out what the app confusingly calls "shapes"—each of the numbers and math symbols—in order for the app to recognize your handwriting. However, once this is done you can write math equations with a stylus or finger, which is rather convenient. It also may help younger students who are just getting started with build some confidence with numbers. Another bonus of unlocking the full version is the customization, which lets you choose from several different themes to change up the look of the calculator. Math 42 is one part calculator and one part math tutorial. Math 42 (free) goes beyond functioning as just a calculator, adding in quite a bit of education to the mix. Whether you are a student or just looking to learn more about equations and variables, then give Math 42 a go. The app is targeted at students in fifth through twelfth grades, however it could benefit anyone who wants to step up their math game. It has 380 different exercises across a wide diversity of categories. Math 42 handles variables, parameters, linear equations, and graphing, though it takes some practice to get used to how it works. If you are just looking for a complex calculator, and don't want to get interrupted often with tutorials, then Math 42 may not be the right one for you. However, it showcases a new kind of hybrid possible because of the iPad. 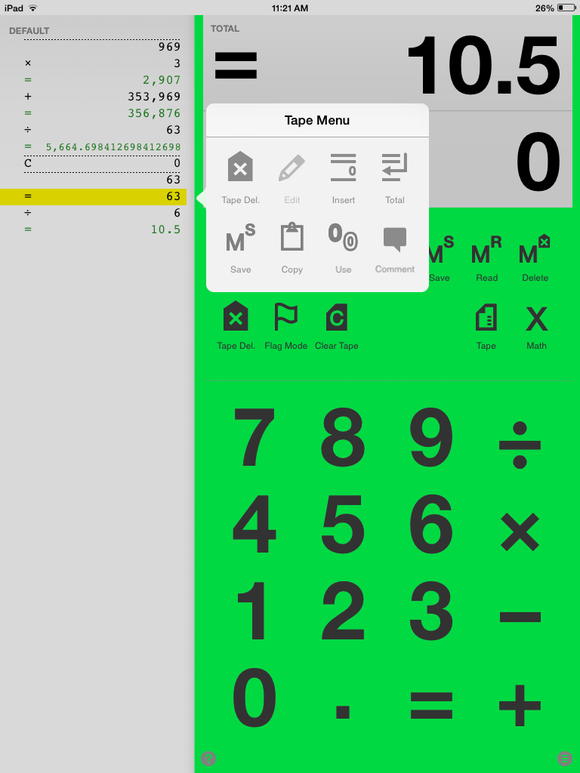 Tydlig ditches the traditional calculator screen and puts everything on a blank canvas. Tydlig ($2) is the most innovative of this group. While most apps seek to replicate a calculator, Tydlig decided to rethink what that experience should be like on a touch screen. Tydlig is great if you have a long equation, as it will fill the blank canvas with each of the steps. This also functions well for other multiple-step calculations, as it lets you go back and check work or see if edits must be made. Problems fill out the screen when you work through them, though it helps to think in a non-linear fashion. You can drag and drop numbers, add text labels, or find other ways to rearrange the calculations so they work best with what you're trying to accomplish. Tydlig is designed to allow more exploration of math and learning about how the functions work instead of just powering through a series of problems. 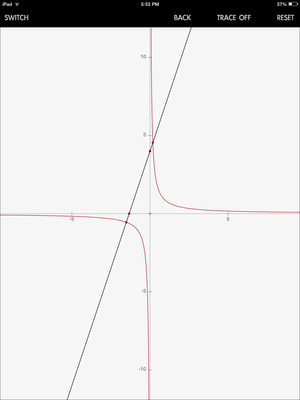 Some may find Tydlig a bit fuzzy, wishing for the cold, linear style of calculator. If that is the case, then Tydlig may not be for you. However, Tydlig is a rather interesting take on calculating and may be a good option if you are trying to re-tool your math knowledge or want to try attacking calculations in a different way. 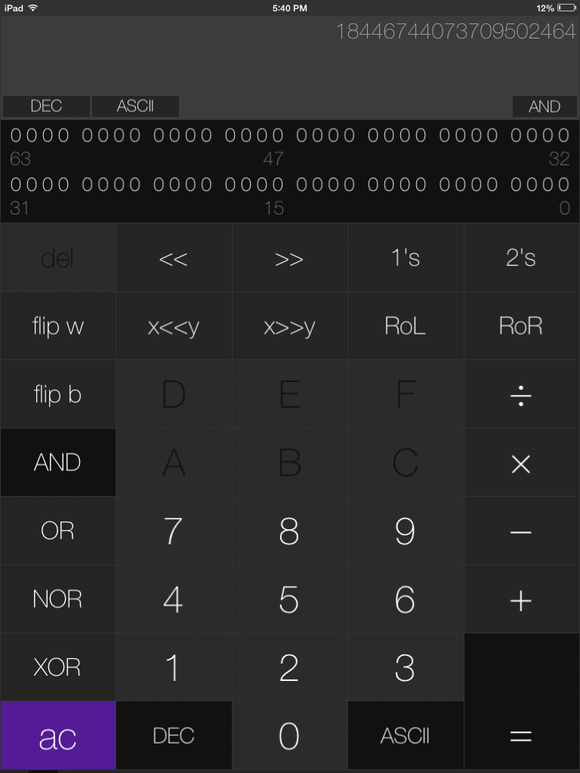 Calzy is a minimalist calculator with a calculation history. Calzy ($2) is ideal if you want a good-looking calculator that handle the basics well and can perform some higher-level math. It has a very clean interface with several different themes, including color schemes that match the iOS design pattern. Much like most reading apps, Calzy has a dark and light mode—in case you have the need to do math in bed. You can also toggle the sound, which makes a pleasant bong every time you press a button. Hide the status bar to get a full-screen experience. Along with the regular gamut of calculations, Calzy also handles expressions, parentheses, and currency rounding. Touch and hold anywhere on the tape to edit it or add comments. Calzy proclaims it has "no unnecessary scientific operators," so it definitely will not be for those who want many different operators for complex calculations. But it certainly is among the best-looking calculators found in the App Store and has plenty of functionality that should meet the needs of most users. Get a good-looking calculator with some powerful features with Calculator3. Calculator3 ($1) is a good day-to-day calculator with some extras that go beyond the basics. Along with the standard buttons it also supports scientific, graphing, and programming calculations. Switching among the different calculator configurations is easy—just swipe either direction to do so. The graphing calculator performs very well and pops out with full-screen graphs. The other formats stick to the same, minimalist design and work in either portrait or landscape mode. 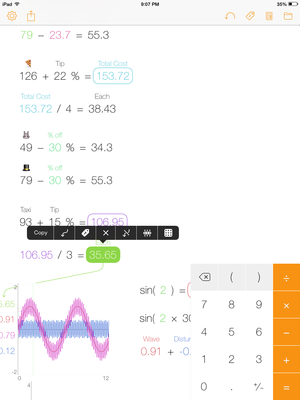 Calculator3 could certainly function as a daily driver calculating app or serve the needs of students and those who want a graphing calculator. If you want to mix up the look you can get a theme pack with a $1 in-app upgrade. The powerOne Pro financial calculator has plenty of tools to determine mortgage payments or work with interest rates. 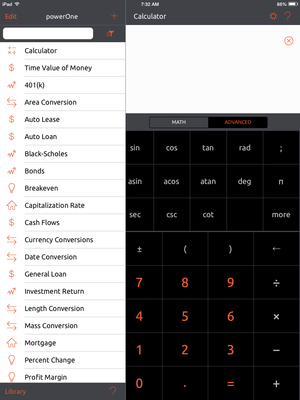 If you are looking specifically for a financial, mortgage, or business calculator then give a serious look to powerOne ($5). It offers calculations for a 401k account, auto loan, interest rates, and other formulas useful for business or finance. The graphing function can graph out the calculations, useful for an auto or home loan amortization or to track investments. If you want to have access to past calculations for comparison purposes you can save and name them. If someone else has the app you can email the results and they can view the calculations in the app on their own device. PowerOne makes five other calculators for specific purposes like scientific, medical, and conversion. They all have a similar design, though it would be nice if there was some kind of all-in-one option instead of needing to buy multiple apps. The right calculator is going to vary based on your needs. While all of the apps on this list are excellent choices, some are going to be geared for calculus, graphing, or other specific tasks while some may just want a calculator for paying the bills or finding how much to tip. With the exception of Calculator+, all of the apps require payment up front. So before you pull the trigger it's worth reading the App Store description to get the full picture and find out if that is what you want. 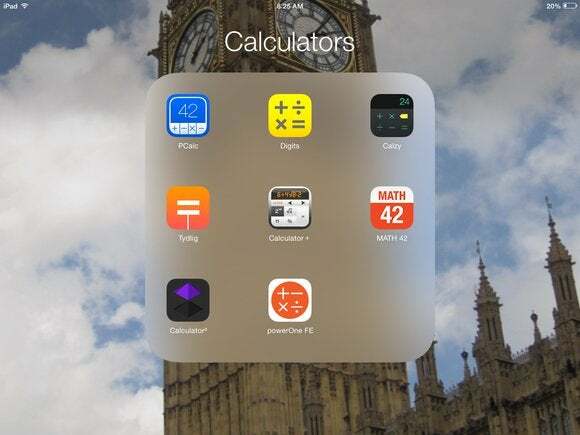 Whether you’re performing serious scientific calculations, doing high-school physics homework, or just converting everyday measures, PCalc has the features—and interface—for you.